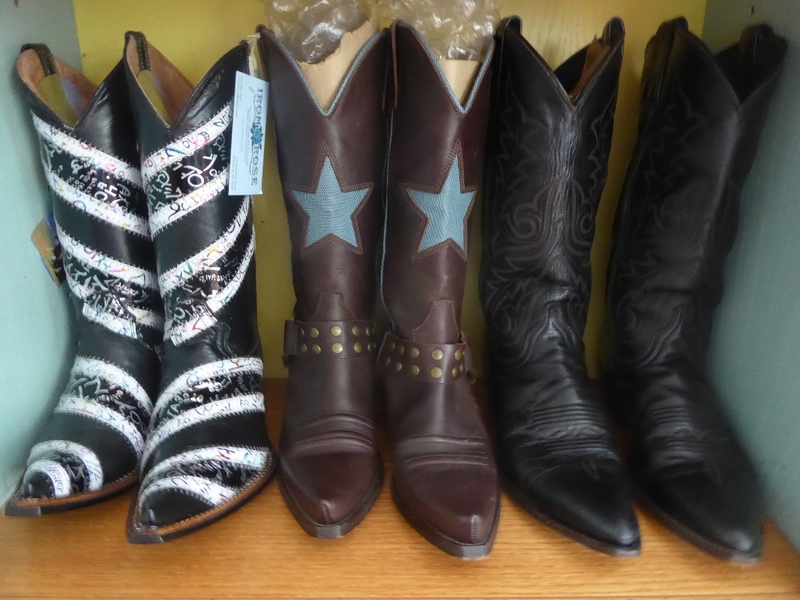 Mark Your Calendars…December 2nd and 3rd! We will Have Our Holiday Open House with Live Music, Refreshments, Door Prizes Wine Tasting and More! 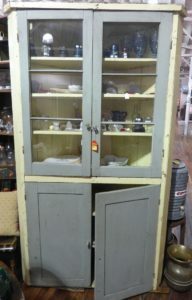 Vintage Spice Set from Booth 38, $20.00. Cheerios Pitcher from Booth 75, $19.99. Butter Crock w Lid from Booth 44 – $25.00. Selection of Cowboy Boots from Iron Rose – Various Prices. 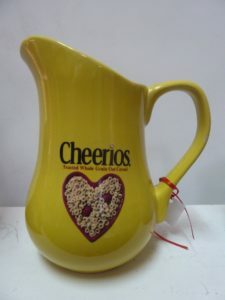 Shelly “Heather” Teapot with Under Plate, Sugar and Creamer, Booth 38, $150.00. Large Sugar Jar (Hoosier?) Booth 32 – $68.00. 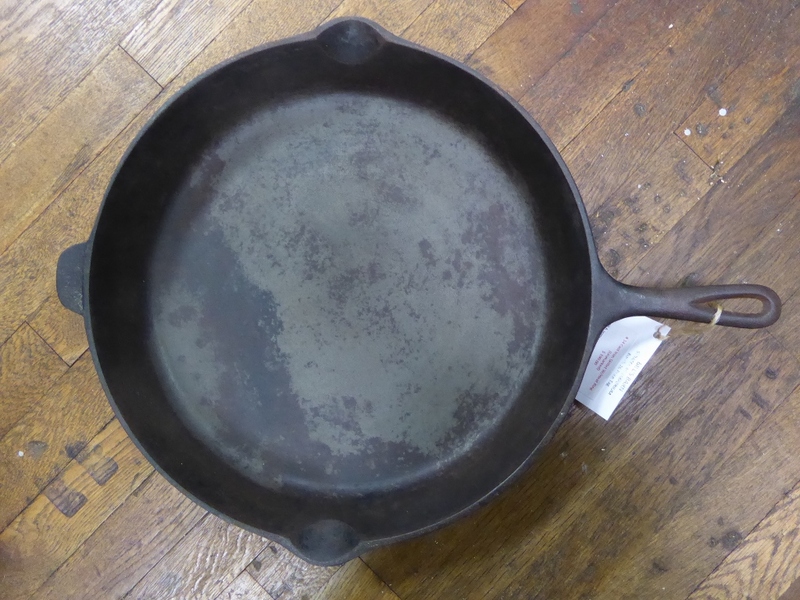 Huge 14″ Unmarked Iron Skillet – $190.00, Booth 26. 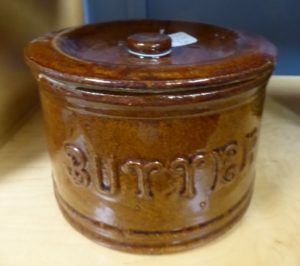 Indian Head Butter Churn by Louisville Pottery, $195.00, Booth 38. 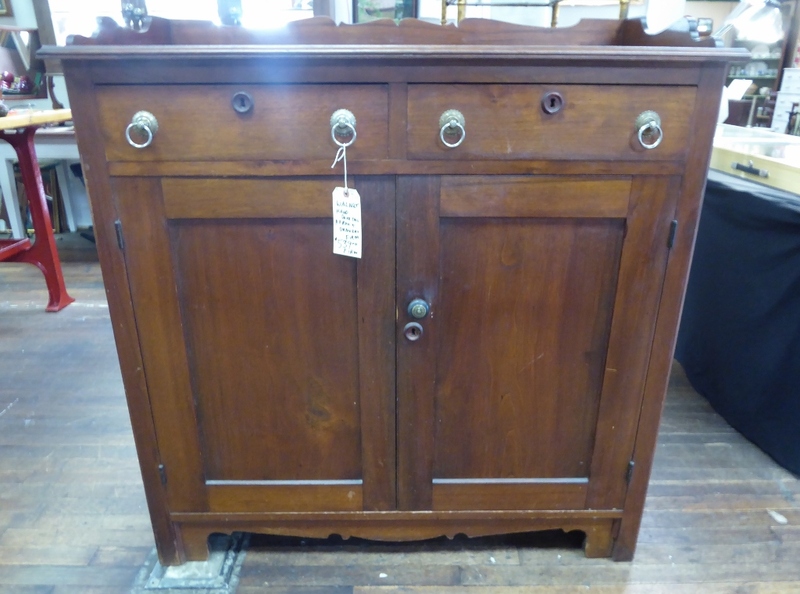 Walnut Side Board, Dove Tail Apron and Drawers, $539.00, Booth 217. 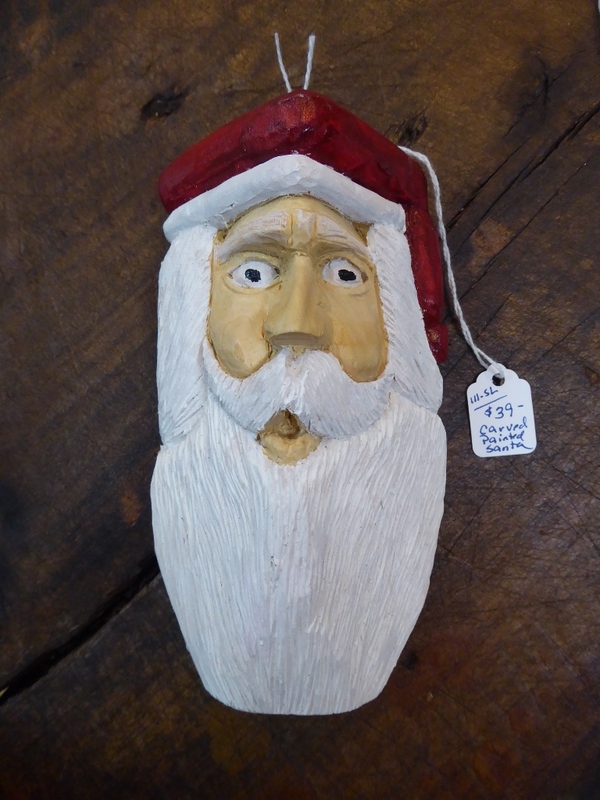 Carved and Painted Santa – $39.50, Booth 111. 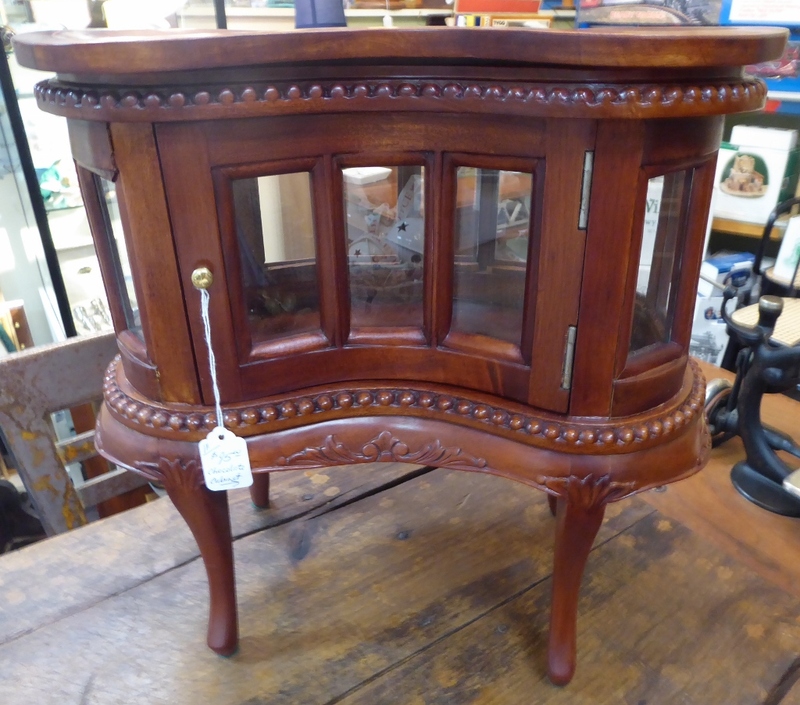 Chocolate Cabinet from Booth 111 – $95.00. Selection of Zane Grey Novels w Dust Jackets, $10.00 each. Booth 90. 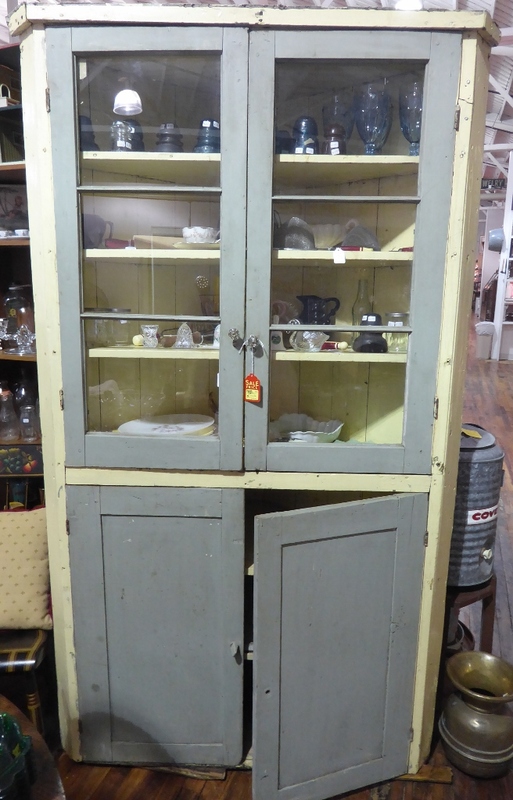 Painted Corner Cabinet from Booth 24, $350.00. 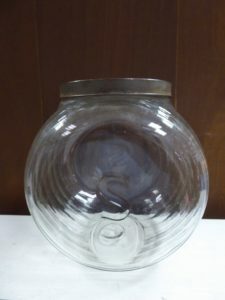 ‹ A Wicker Rickshaw, and a Giant Dinner Bell! Come take a LOOK!